My limbs are tethered to a shadowy great wing, unsure whether they are fleeing or willing captives. It’s such a riddle to see one’s own spirit embodied in the illusion of dueling, passionate entities. Is it I or the familiar eyes staring into mine? I see my seemingly private afflictions reflected in every struggle to comprehend romantic holographic encounters. The projection of love- the task of understanding the other only to ironically return to yourself. I, the initiator of vibrational images of unfettered intensity- the woman who loves unconditionally. The story, a brilliant thought-form, materialized as a truth of unmatched authority. How I love, how dearly, packed into combustible cannisters of volatile creative force. My cupboards are overflowing. I am incapable of coming to terms with my own creation. I am a wounded spiritual force, living in fear of its own potential. Is there not some other hologram willing to share the burden? I’m lost on this plane of existence unwilling to extinguish the light that is mine and mine alone. I live as a woman walking circles in the garden of herself. I call out to witnesses with lovely porcelain and sweets. Are they poisonous or liberating? I eat and drink and love him so. Crime and Punishment was written by the Russian author, Dostoevsky in 1866. Confronted with destitution, ideology, questionable mental stability and the sometimes strangely coincidental circumstances of St. Petersburg life, a university student, Roskolnikov, takes it upon himself to commit murder. An introspective portrayal of the psychological, social and legal ramifications of the act keeps the reader questioning and anticipating the motives and plot twists throughout the 703 pages. In the true spirit of Dostoevsky, the book is filled with layer upon layer of analysis of the human condition. The characters bring a rich discussion of multiple subjects to life; law, morality, religion, family, social position, addiction and mental illness are some of the many themes present in the story. I read a German translated edition from 1977 printed by the Winkler Verlag München. An interesting difference between the English and German titles shines light on the depth of the book’s interpretive potential. Schuld und Sühne (Guilt and Atonement) as opposed to Crime and Punishment depicts the array of psychological challenges Roskolnikov must face. He theorizes, in the midst of a kind of feverish mental affliction, that it be morally permissible to commit a crime for the sake of a higher purpose and whether there be certain figures, who on account of their assumed superiority, (perhaps such as himself), should be considered above the law. We see him struggle with guilt, love, faith and human connection while attempting to justify his theory and witness the ultimate culmination of his dealings in the end. The ambiguous nature of the characters and the effects of their interactions with one another leave one grappling with the concept of good and evil and what it means to be a moral being in a social world. I highly recommend this as well as any other book by Dostoevsky to anyone looking for a philosophical, psychological and brilliantly written literary masterpiece. This is a story that leaves one speechless, exhausted and enlightened. “Aber die Stimme sprach vergebens, denn ein nüchtern gelebtes Leben ohne das süße Laster der Träume war kein Leben – das Leben hatte ja nur den Wert, den die Träume ihm gaben.” (Jacobsen, Jens Peters. Niels Lyhne. Reclam, 1984, p. 12). What Jens Peter Jacobsen referred to as the “sweet vice of dreams” in his novel, Niels Lyhne, I have grown to know all too well. 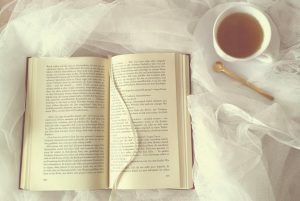 I believe that certain books remain tucked away on a shelf for years and emerge at exactly the right time. 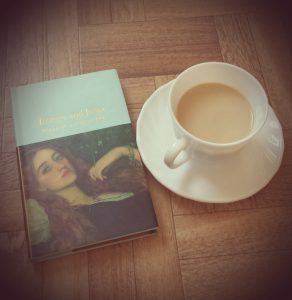 I began a project of reading the books that inspired great writers. 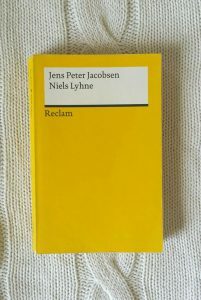 After finishing Rilke’s Letters to a Young Poet, I learned that both he and Hermann Hesse had been inspired by Jacobsen’s 1880 Danish work. The book centers around certain life events of the young man, Niels Lyhne. Throughout his life he endures revelations that portray a gripping literary tension between romanticism and realism. The challenges that surround his confrontations with both emotion and logic come to full fruition in topics such as happiness, religion and love. The characters reveal and speak to an ache in the heart of romantics and idealists who struggle to reconcile their place in a world of ever looming disillusionment. At 218 pages long and written in an exquisite 19th century stylistic elegance, this book will speak to those of you caught in a world torn between ideals and reality. Those who feel they never quite belong will find solace in the insight and acknowledgement of the “sweet vice” we were born to carry.